Click Here to see our Summer Plans and Pricing NOW! 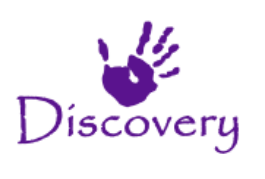 Welcome to Discovery Kids Camp! Discovery Kids Camp offers a unique spin on School-Aged childcare that separates us from the crowded school cafeteria programs in the area. We are staffed with Teachers who establish caring relationships with our students. Our interaction, either one on one or in a group, encourages responsibility for a good education, competition, fair play, friendship, creativity, and lots and lots of FUN! Click on one of the photos below to find out more about our school aged programs.